Create lasting memories for someone special with our Engraved Custom Message Personalized Wood Picture Frames. 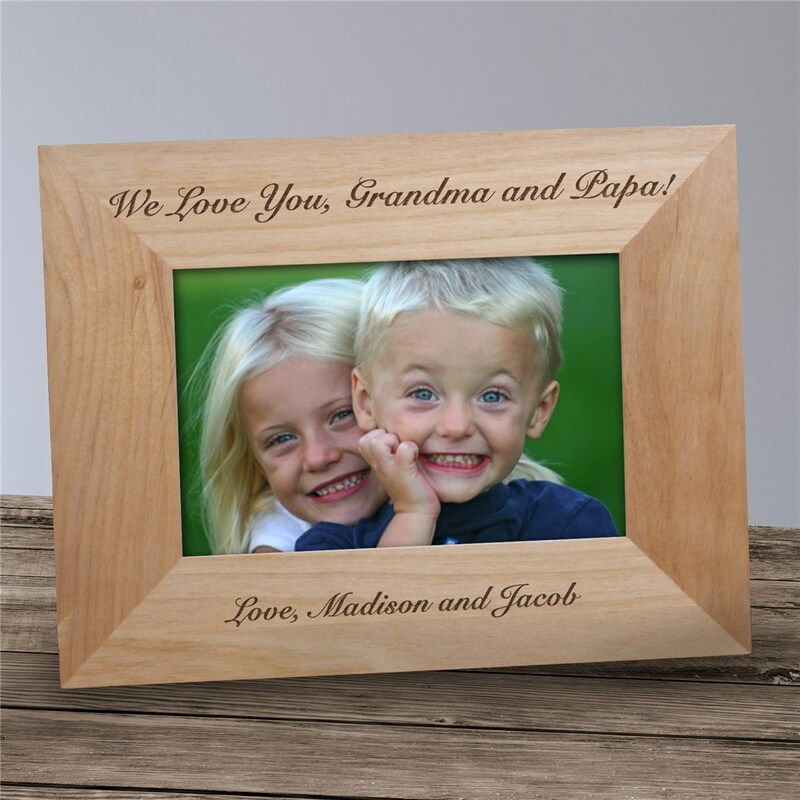 These Personalized Wooden Picture Frames comes in three sizes, 4"x6, 5"x7" and 8"x10". Choose any two-line personalized message and the frame orientation of horizontal or vertical, and you will instantly create a keepsake that will last a lifetime. Absolutely fantastic. The frame is of good quality and the inscription I had put in it was perfect. This frame is a gift for friends and I know they will love it. The personalized frame is beautiful. Better than I could have hoped. I certainly will use your company again.